Top Down Sweater Update with photos! Lyn and Kathy and for future short row sleeve cap knitters, here are part 1 and 2 of a video I found demonstrating the short row shaping you will be implementing on your cap sleeves. There are a few structural exceptions which you will be able to tell me about in class! 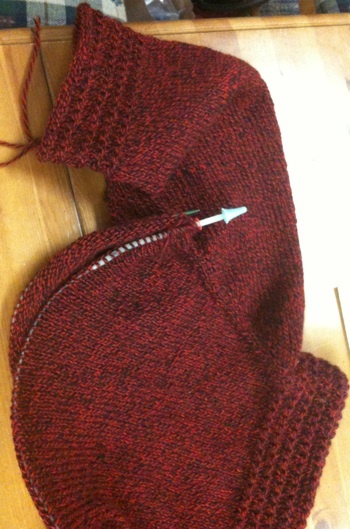 I love the last bit about tightening up the stitches. 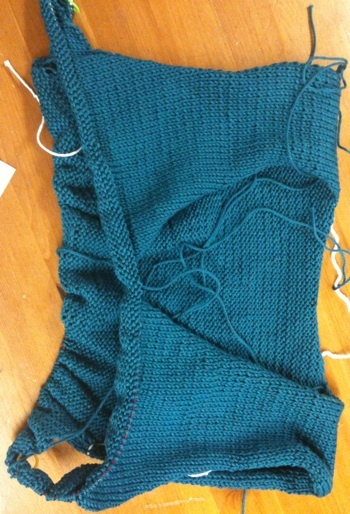 Lyn has just joined her back and two front pieces! 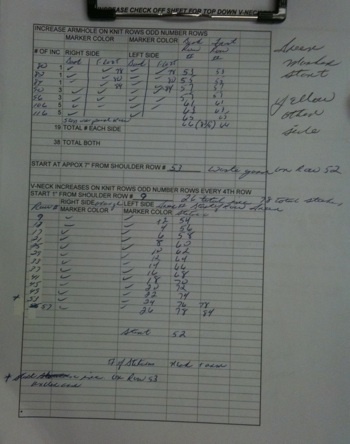 An excel spreadsheet Lyn created (to keep from pulling her hair out I'm sure...no, no) to keep track of her shaping increases for the underarms while doing the increases needed for the V-Neck shaping. Inspired! Pam's Top Down Sweater neck and sleeves! 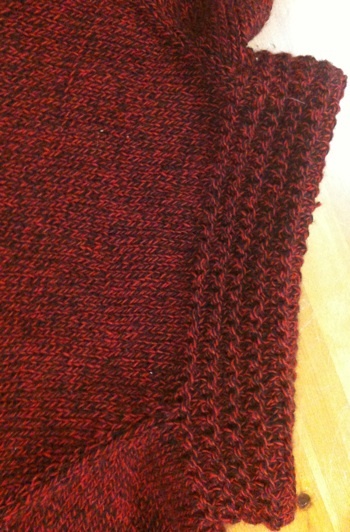 How wonderful is that fabric produced by the stitch pattern as "ribbing" for the sleeves, neckline and bottom edge of the garment?! Feature or bug? 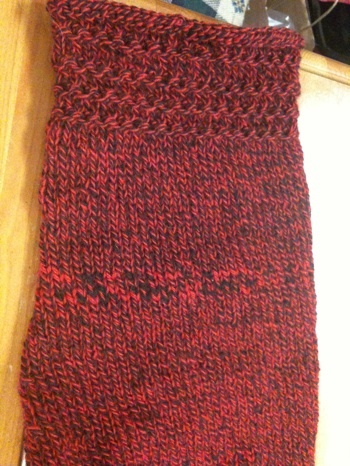 The couple rows of what seems like a little bit of stripping came out of the inconsistencies of the yarn.